You'll be £20.00 closer to your next £10.00 credit when you purchase Religion & Classical Warfare: Archaic and Classical Greece. What's this? Religion was integral to the conduct of war in the ancient world and the Greeks were certainly no exception. No campaign was undertaken, no battle risked, without first making sacrifice to propitiate the appropriate gods (such as Ares, god of War) or consulting oracles and omens to divine their plans. Yet the link between war and religion is an area that has been regularly overlooked by modern scholars examining the conflicts of these times. This volume addresses that omission by drawing together the work of experts from across the globe. 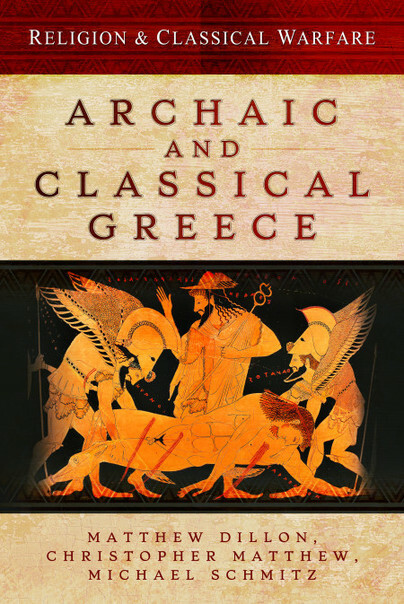 The chapters have been carefully structured by the editors so that this wide array of scholarship combines to give a coherent, comprehensive study of the role of religion in the wars of the Archaic and Classical Greek world. Aspects considered in depth will include: Greek writers on religion and war; declarations of war; fate and predestination, the sphagia and pre-battle sacrifices; omens, oracles and portents, trophies and dedications to cult centres; militarized deities; sacred truces and festivals; oaths and vows; religion & Greek military medicine. Dr Matthew Dillon is Associate Professor of Classics and Ancient History at the University of New England, New South Wales, Australia. His previous works include The Ancient Greeks in their own Words (2002). Christopher Matthew has just completed his doctoral thesis on hoplite warfare at MacQuarie University in Sydney, where one of his assessors has said he 'singlehandedly advanced the whole field'. He has also been invited to lecture on the subject at other Australian universities. This book, closely based on his doctoral thesis, will be his first, although he has already had several articles published in academic journals. 'He is currently working on a new translation of Aelian's work on tactics and co-editing (with Dr Matthew Trundle) Beyond the Gates of Fire: New Perspectives on the Battle of Thermopylae, both of which will be published by Pen & Sword. Dr Michael Schmitz is a lecturer in Classics and Ancient History at the University of New England, New South Wales, Australia. He is the author of Roman Annexation: Costs and Benefits of Trajan's Dacian Conquests (2010) and The Dacian Threat 101 106 AD (2005).